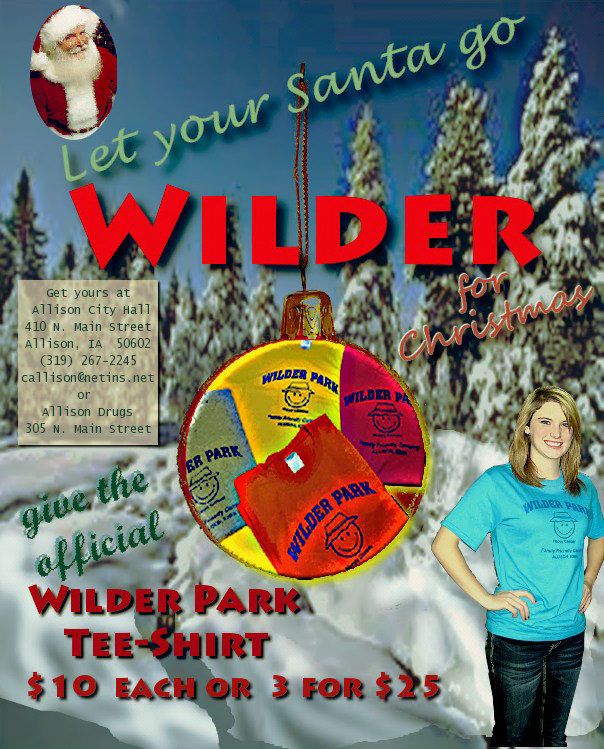 Wilder Park, located east of Allison on Highway 3, opens mid to late April, for camping and picnicking. To create, manage, and maintain a premier park system for the City of Allison AND to provide affordable recreation and educational opportunities for the community and the surrounding areas. 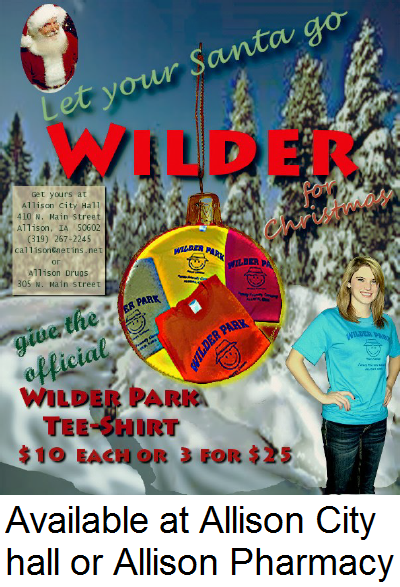 Please join us at Wilder Park this camping season. We look forward to seeing you! To reserve a campsite, please contact the Allison City Hall at (319) 267-2245. For current camp fees, please check the "CAMPING" section of the website.